And so, when you get an invite to a party called Pure Magic, instantly a sense of mystery is awakened. What’s it all about? In fact, when people heard about it, that’s what they would always ask: what is it? 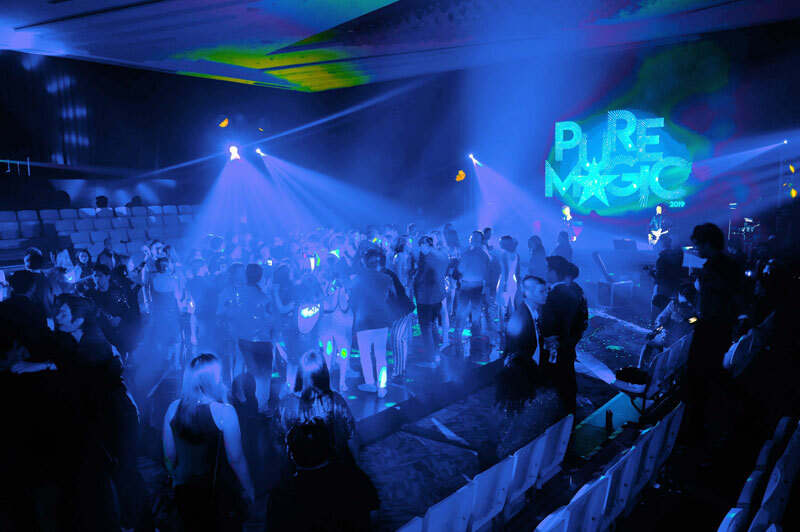 Pure Magic is a reset button, an event to remodel events, a refresher course on what it means to enjoy a night out on the town. 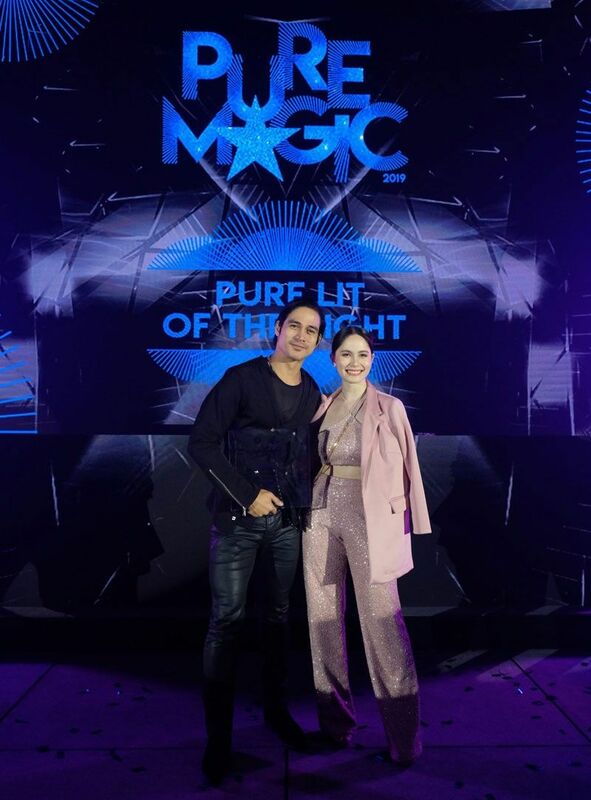 It was also the coming together to celebrate what’s new: Wilkins Pure Distilled Water and a New Year’s party for Star Magic. So while there was a blue carpet, as blue as the bright blue sea, there was no garish branding, no repetitive jingles, no overkill of plugs. 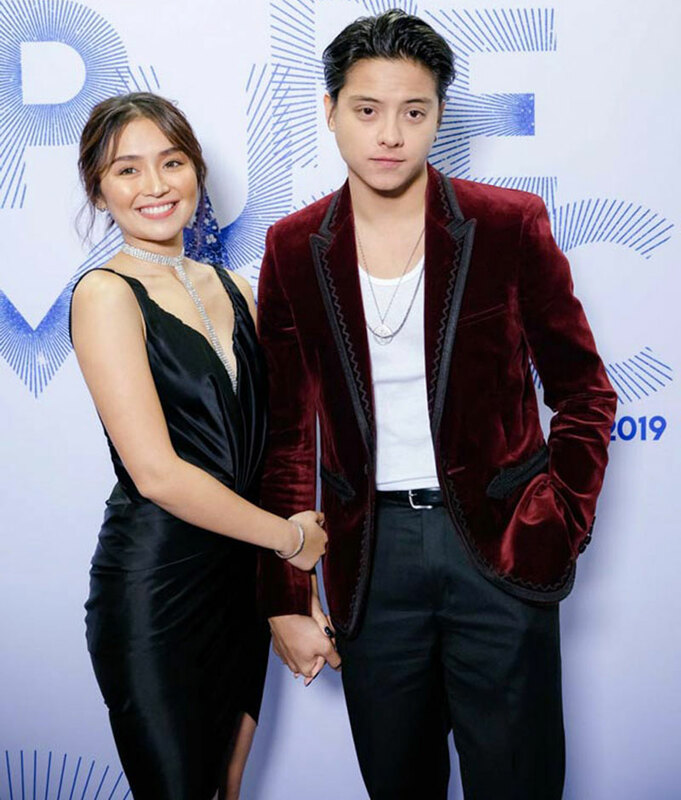 The blue carpet led to an open area draped in heavy black curtains, some Zaha Hadid-ish sofas and a 360-degree cam, all the better to capture all the beautiful angles of all the beautiful people. Long-lost friends and new acquaintances all mingled freely and naturally, all free from pressures, all just being their most real selves. The black curtains were then pushed aside to reveal a giant bar and an LED display meant to mimic neon lights with the reminder: “Don't Forget to Cleanse with Wilkins Pure.” The music was blasting from a live band and without any prodding, everyone was soon on the dance floor. Metal chairs reminiscent of old cinemas filled bleachers on both sides, adding to the feeling of a nostalgic prom. As everyone danced around me, I felt like it had all the fun and craziness of an after party, but with all the presence and specialness of a party party. Soon, Star Magic talents Jed Madela and Nyoy Volante spontaneously jammed with the band. Vocal powerhouse KZ Tandingan then did a rock and roll version of a Dua Lipa song, which made the high-octane energy go even higher. Of course there were awards, for the Wilkins Pure Star of the Night, the Pure Lit of the night, and the Pure Glam of the Night. But unlike other events, there were no long, boring speeches and everyone was just eager to get back on the dance floor. As a writer, events are part of the job description. And while some events really feel like work, this night was different. It didn't feel at all that the people there had to be there; they very clearly wanted to be there. And as the universe sometimes simply provides, just when I was desperately trying to capture what Pure Magic was all about, a book that I was lazily perusing (all writers procrastinate while reading the writing of others) provided the answer. “I’m always looking for the accident, the thing that comes from a place I can’t know or control... that the thing or person just magically appeared, complete in every way... This is a scary way to work but I am stuck with it. And what’s strange is that often enough that magic does strike, and I’m pulled along by it, and encouraged to try my luck one more time. NOW!” So wrote Kurt Markus, the fashion photographer whose work has appeared in Vogue, Vanity Fair and has been exhibited at the Verve Gallery. Pure Magic: The Brightest Night of the Year — so far — happened last Jan. 27. Well, magic did strike that night, but it was most certainly no accident. Happened in Marquis Events Place BGC promises the size and scale of a hotel ballroom complete with catering but with more panache and privacy, to launch this new definition of how to party. The name Marquis means an aristocrat (it’s the rank right about Earl and right beneath Duke) but it also alludes to its homonym — marquee — which means a party tent in British English and the canopy projected over a theater, so a “marquee name” means a household name or, yes, the name of a star. 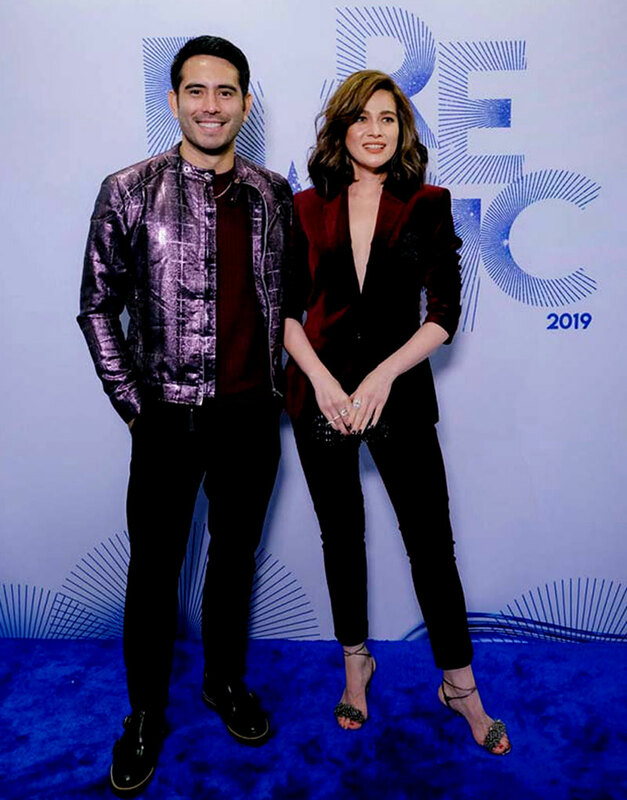 And so the stars and their handlers and road managers and the people behind both Wilkins Pure and Marquis Events Place BGC all gathered for one night, all revelers, all celebrating just what it meant to be exactly what they wanted to be.